Good news! Summer is just around the corner! And although you shouldn’t stow away the jacket just quite yet—after all, spring in Ohio can be a bit unpredictable—we here at Lawn Control Center sure are excited about the warm days that await and about spending some quality time outdoors. While the outdoors are great, there are some parts that are best left outside. Critters, bugs, and pests, for example, have no place in the house. And unfortunately, no matter how many times you shout this at a pest you find in your home, they never seem to fully get the message. Not only do pests like ants, ticks, and spiders give you a minor heart attack, they can also be unsafe to both your family and pets—ticks, for example, are notorious for spreading a variety of dangerous illnesses. That is why it is important that you take real, proven-effective steps to reduce the likelihood of pests entering your home and yard. What steps can you take? Glad you asked! 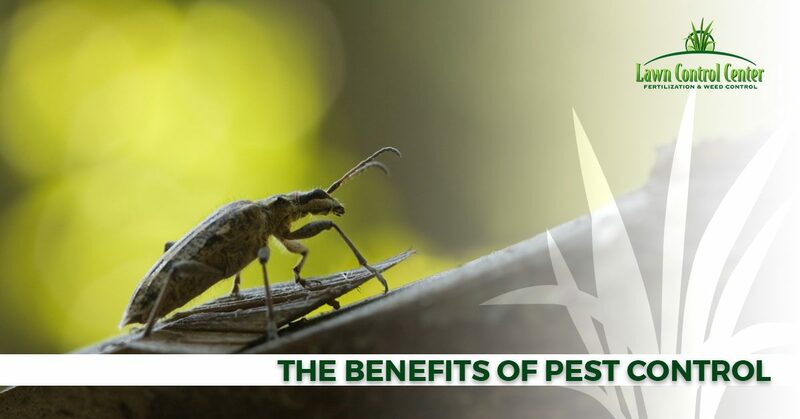 In today’s blog, we are going to talk about some of the benefits of pest control, tick control, and perimeter pest control. If you are in the Cleveland or Columbus area and are in need of reliable and effective pest management and lawn care services, give the professionals at Lawn Control Center a call today at 888-833-6205 or fill out this online form. With traditional pest control, the terminator will come to the home, inspect your interior, and then spray and eliminate any pests in the home. The problem with this method is that it is aimed at eliminating critters that are already inhabiting your abode. Shouldn’t there be a way to control pest before they enter your home? There is! And it’s called perimeter pest control. When you call a pest management company, a pest specialist will first evaluate the exterior of your home and yard, paying extra close attention to vulnerable areas that serve as a potential pest portal into your living space. They will then shield these areas as well as other potential entry points using exterior pest control applications. No pests in your home or yard! There are few drawbacks to summer, but if we had to choose one, we’d say it’s dealing with ticks. Ticks are not only gross, but they also carry a number of dangerous tick-borne illnesses like Lyme disease. In addition to creating a perimeter around your home, shielding you from ants, spiders, and other critters, a professional pest management company can also shield your yard and home from fleas and ticks. Learn more here. Ready to Schedule Perimeter Pest Control? Or Flea and Tick Control? If you are in the Columbus or Cleveland area—specifically these counties—we would be happy to help! Contact us today to learn more or to get your free estimate! Pest control and tick control are not to be confused with exterminators. Whereas exterminators are like a clean-up crew sent in to eliminate all the ants, spiders, and ticks that have taken over your home, a pest control management company, like Lawn Control Center, provides a comprehensive and preventative approach. We can help form a strategic pest control plan to build a shield around your home, keeping your family and pets safe and pest-free all summer long. We are also proud to offer a wide range of Ohio lawn care services—lawn aeration, weed control, fertilization services, disease and drought management, and much more!